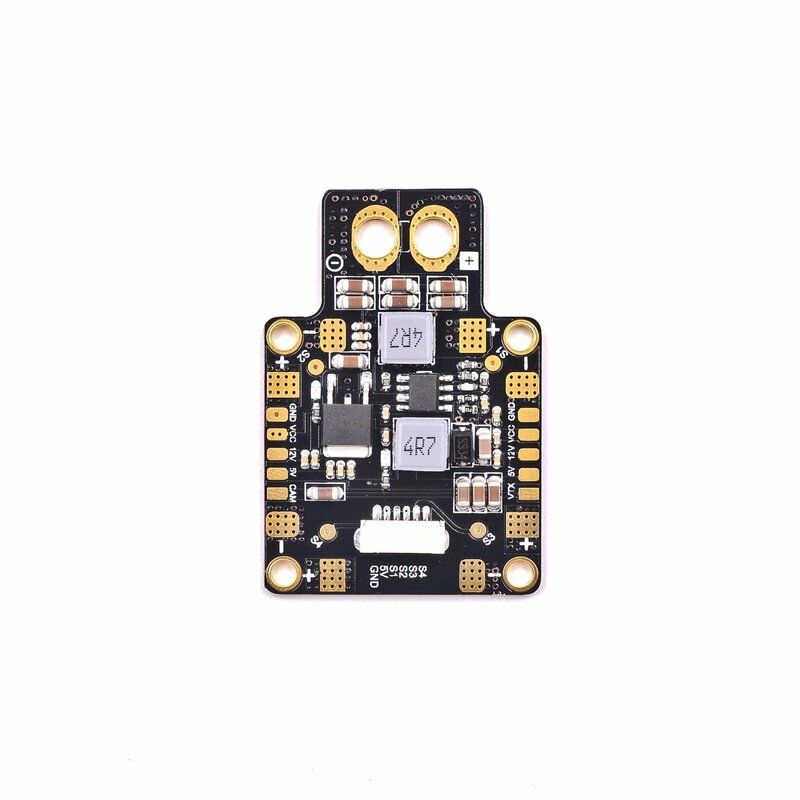 GEP-XT60-PDB Is an integrated BEC 5v (3A) the 12v (0.5A) the output of the efficient PDB，The biggest characteristic is to use the LC filter design. 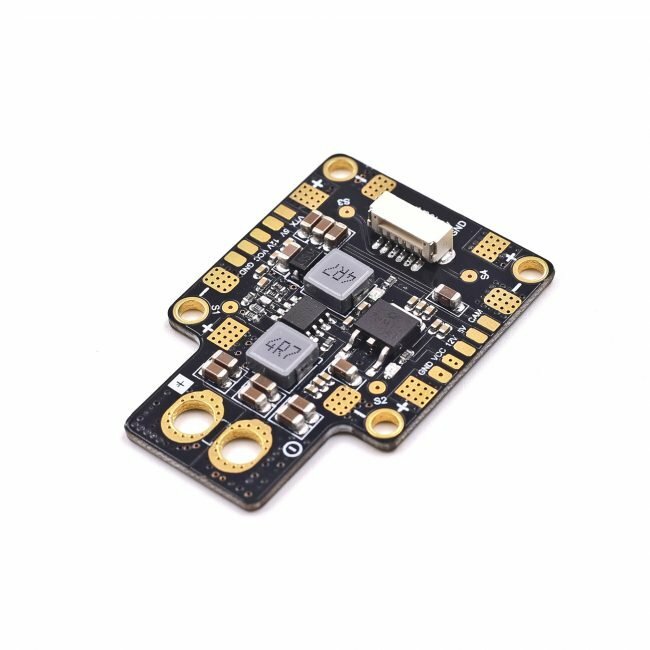 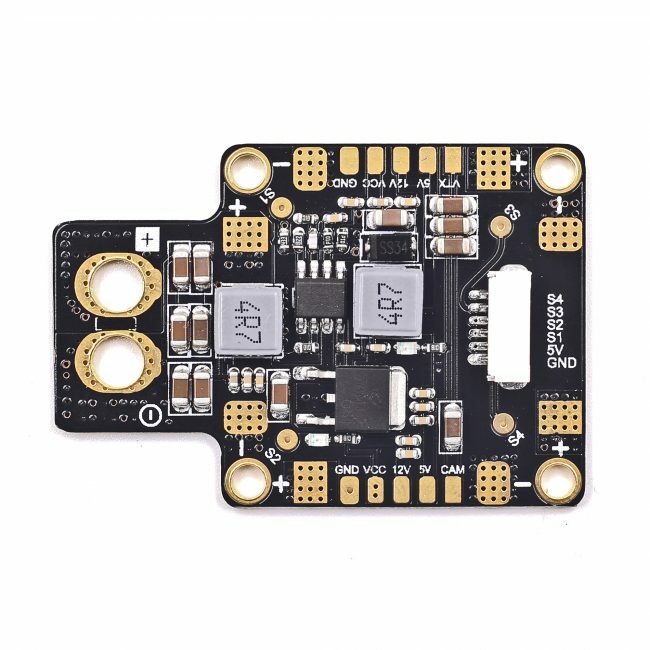 Dispatch Escs output ripple interference to reduce to a minimum。Structure of 4 layer board, 35mm* 50mm size, can output 4 * 50A current at the same time. 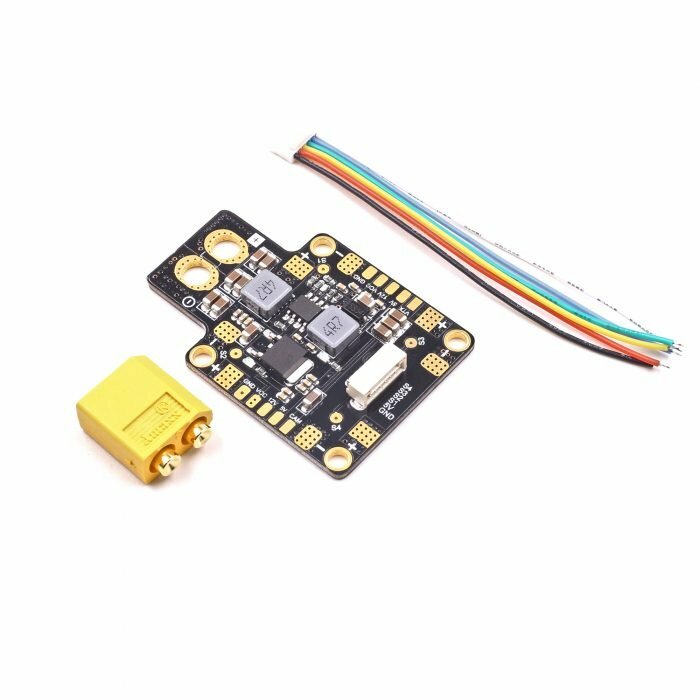 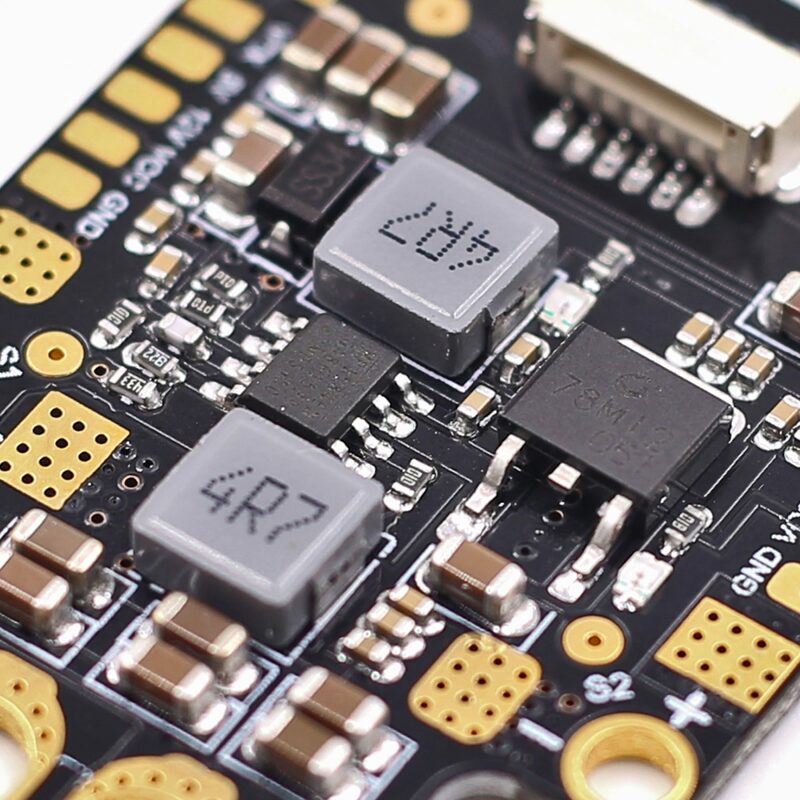 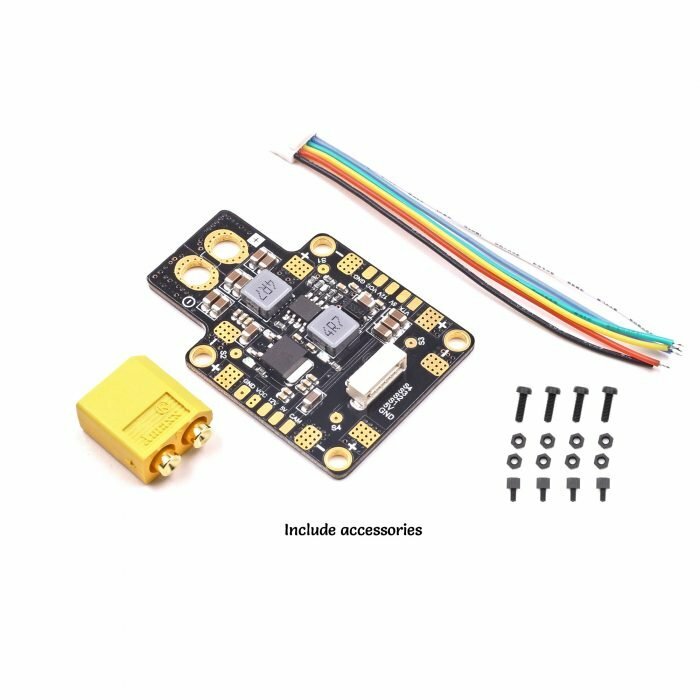 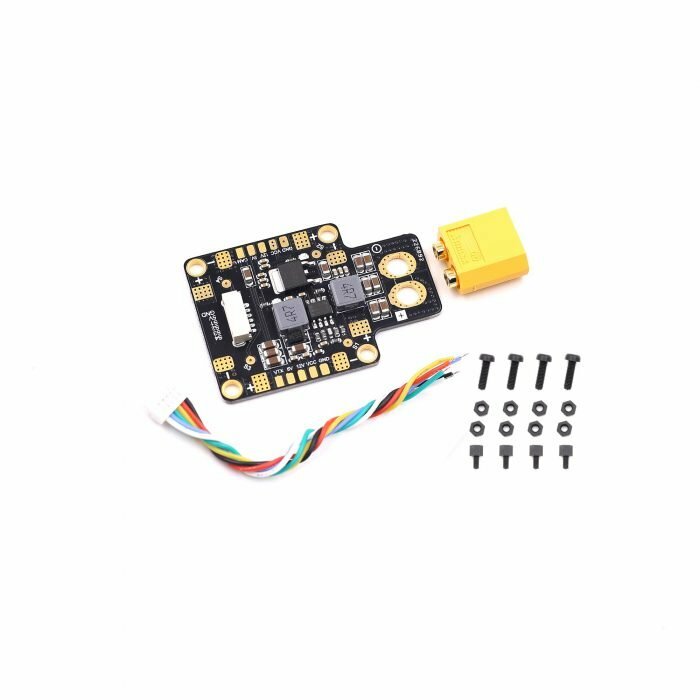 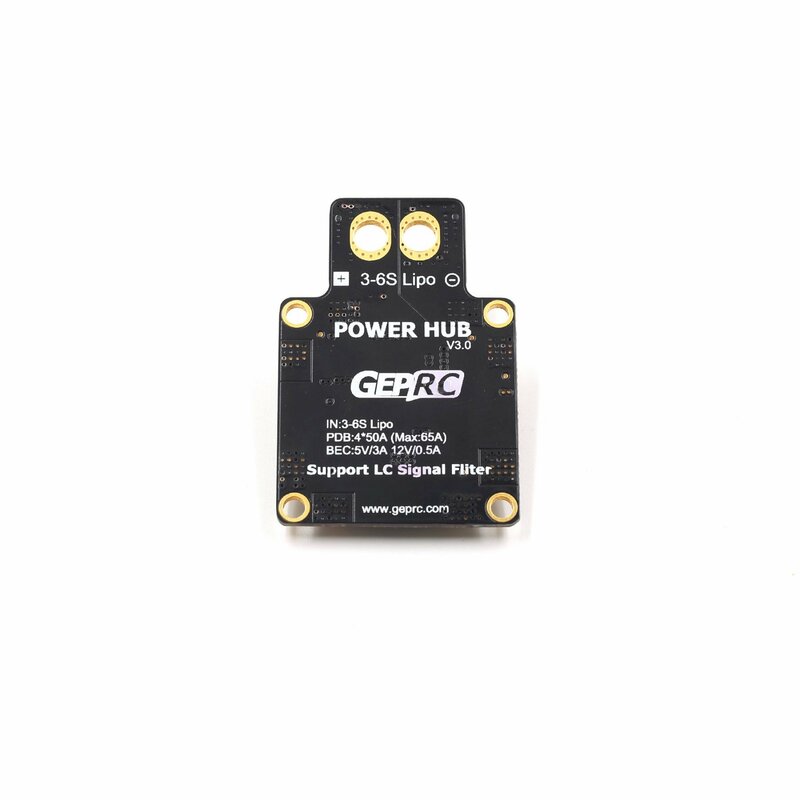 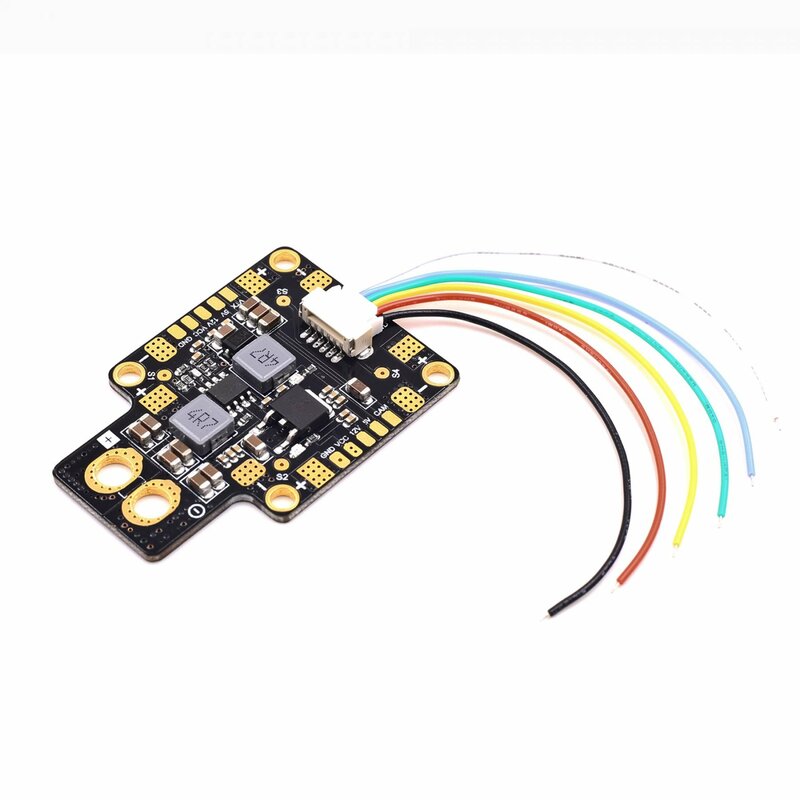 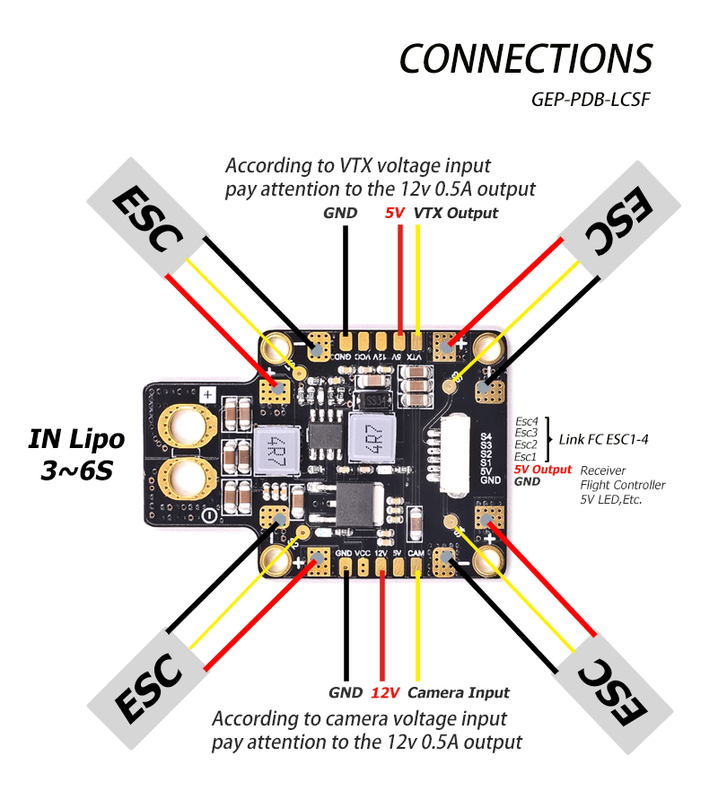 5 v output is designed for Flight Controller, VTX, Receiver, OSD. 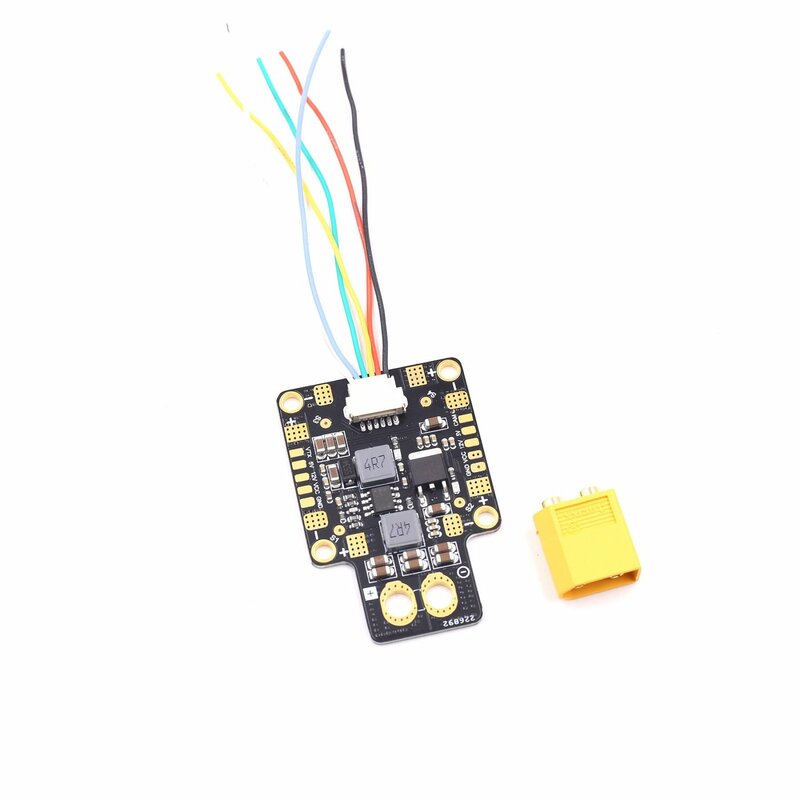 12V output is designed Camera、LED board。Factory contains a XT60 plug. - 2oz Copper foil，4 layer，1.6mm PCB.